So you’re looking for simple ways to build a bigger following on social media, or maybe you’re looking for a way to collect user-generated content (UGC) to use for marketing. Either way, a UGC hashtag contest may be just what the CMO ordered. 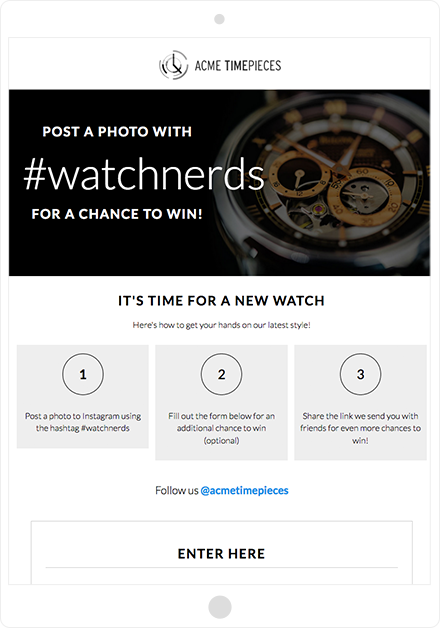 User-generated content hashtag contests are really popular at the moment - and for good reason. They’re easy to run, tend to get shared a lot and can be easier to manage than some other kinds of promotions. What’s more, they’re relatively simple to prepare. Hashtag contests can help you build brand awareness, increase engagement and ultimately increase sales (and by the way, UGC hashtag contests are different from “tag a friend,” “like,” or “comment to win” contests). Hashtag contests can help you build brand awareness, increase engagement with consumers and ultimately increase sales. Here’s what you need to know to get a hashtag contest up and running, followed by some ideas for how to use the UGC you collect. What is a UGC hashtag contest? A UGC hashtag contest is a giveaway for which a business asks its followers to post a piece of content on a social network, accompanied by a specific hashtag, in exchange for a chance to win a prize. The users' content might be a photo, video, review, or even some text, like a recipe. Each time someone posts anything containing the unique hashtag, they’re entered to win a prize. A winner is chosen either at random (technically making the contest a “sweepstakes”) or by criteria the brand decides, such as by number of votes, or by letting a panel of judges choose the winner. While hashtags can be used on Twitter, Instagram, Pinterest, YouTube, Facebook, etc., they're a fundamental part of the Instagram and Twitter experiences, so you’ll be better off if you focus your contest efforts on these platforms. Twitter is where hashtags really took off and it’s helpful to understand the origin of hashtags, even in the context of contests. When Twitter launched, the company’s first users started using hashtags as a means to organize conversations and make certain topics of discussion easier to find. 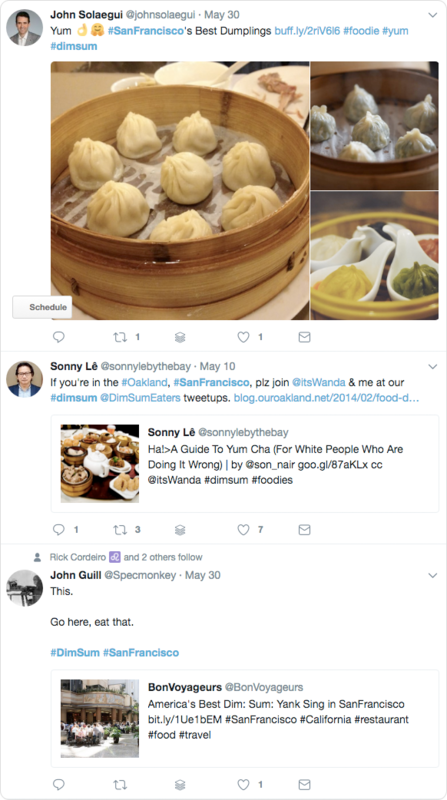 For example, let’s say you were in San Francisco and looking for a great place to eat dim sum, and you wanted to see what other dim sum fans were recommending - you could type both #sanfrancisco and #dimsum into the Twitter search bar and Twitter would show you only posts that include both hashtags. This is still how hashtags work today, so to run a promotion on Twitter, you’d do the same thing: require people to use your hashtags in their post in order to be entered to win whatever prize you’re giving away. To run a hashtag contest on Instagram, you simply create a unique hashtag (more on this below), and then ask participants to use your hashtag in the caption which accompanies their image or video. 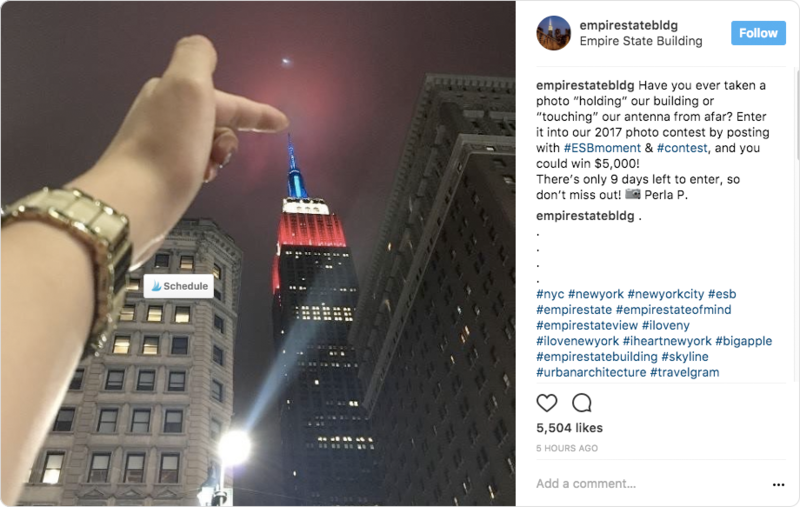 In this example, the Empire State Building is giving away $5000 to someone who has taken a photo touching the building. While hashtag contests might be easy to set up, you’re more likely to meet your goals if you think about what you want to accomplish, then use the best tools to help you meet your goals. Here’s a quick look at a few things to keep in mind. It might sound obvious, but you can’t use another company’s name in your hashtag. 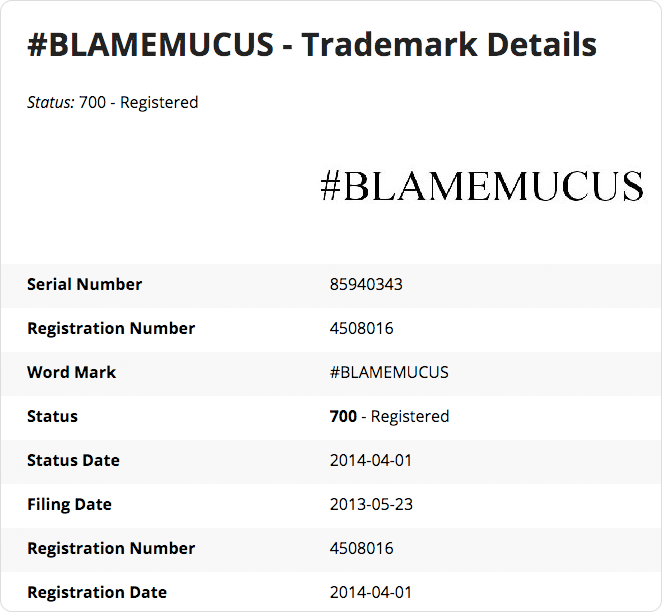 That’s not the only thing to consider - increasingly companies are trademarking hashtags that don’t include their brand name, like Mucinex’ #blamemucus. Bottom line: Do some research to ensure you’re not co-opting a company’s trademarked material. Some great contest hashtags we’ve seen lately come from the Cruise Line International Association which used #cruisesmile for a recent giveaway, and Dwayne Johnson (aka “The Rock”) who used #slowmochallenge for a contest linked to the premiere of “Baywatch.” To keep things really simple, you could just use #[yourbrand]contest. Some brands create unique hashtags that catch on with their followers and can be used for contests and for general posts. 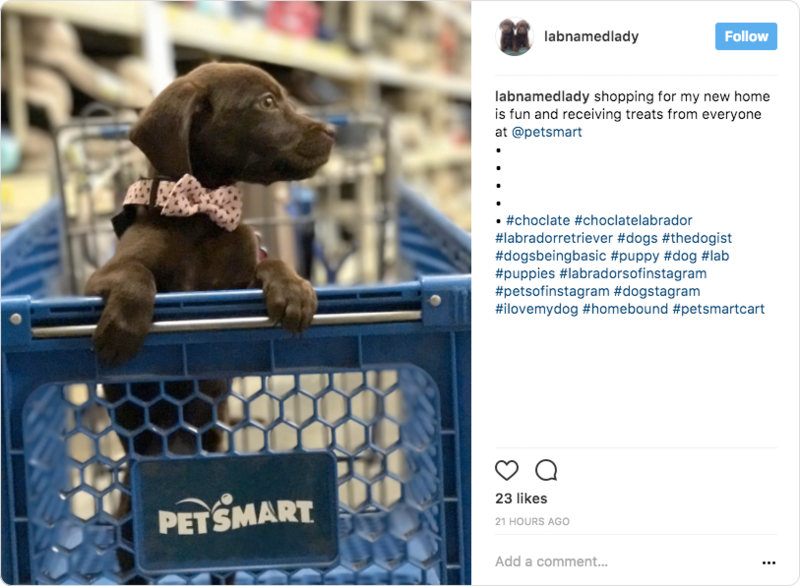 PetSmart, for example, uses #petsmartcart in many of its own posts, and PetSmart customers have also adopted the hashtag. For a contest, you might have your short-term contest hashtag (#[yourbrand]contest), and then also include your branded hashtag (the one that accompanies every post). Hilton, the hotel brand, includes a simple #hilton on its posts, and its customers frequently use it as well. You could also use your company’s tagline, or the name of a flagship product. But most importantly, think about whether the hashtag will appeal to your customers. Hashtags can be hard to resist, but don’t go too crazy with them. Yes, Instagram allows you to post up to 30 (and there are ways you can include even more than that) but there aren’t many situations that would call for maxing out like this. Instagram posts that use nine hashtags generate 2.5 times more engagement in the form of likes and comments than posts with just one tag. Posting your competition rules will ensure that anyone who enters will understand the guidelines and limitations you've set. For example, you might want to limit entries to certain regions, or have minimum age requirements, and you might want to limit how many times a person can enter. Host all of these details on a landing page, rather than as a comment or caption. That way your post will look much cleaner, and you’ll be able to add all the details you want. But before you write your rules, understand the differences between sweepstakes and contests. A contest is a promotion in which effort, skill, or merit is required to enter to win a prize. For example, you may require people to upload a photo or video in order to enter but have the winner determined by voting or other judging criteria. The element of chance must not exist in a contest. A sweepstakes is a promotion in which entrants can win a prize based on chance. No other consideration is permitted and the winner is picked at random. The element of consideration must not exist in a sweepstakes. One of the reasons hashtag contests are so popular is because they’re so easy to enter, but if you’re also interested in collecting email addresses to use for future marketing, you might consider adding a form to your contest, since you may have some customers who don’t use Instagram or Twitter. 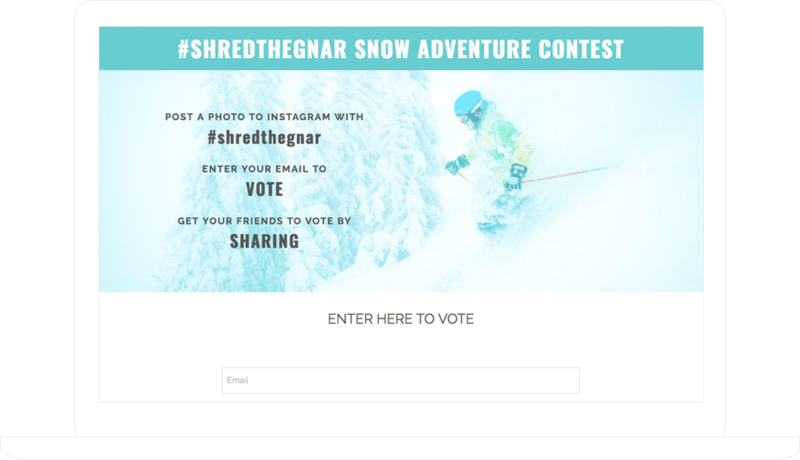 People can still enter by uploading an image using your specific hashtag, but if you also create a simple landing page where people can enter, you’ll get even more information - and you could even offer extra chances to win to those who are willing to fill out a form and share the contest. When it comes time to choosing a winner, you have a few options. If you’re hosting a hashtag contest - one in which people enter by using your designated branded hashtag - you have the users’ implied permission to use what they post, but it’s still a best practice to ask for their explicit permission. Once your hashtag promotion is over and you’ve chosen a winner, you should have collected a nice pile of user-generated content to use in your marketing efforts. Since sharing UGC is a proven way to increase engagement, build trust and drive sales, your next best step is to start creating and sharing stories around the material you collected. Here are three things you can do with the UGC you collect. 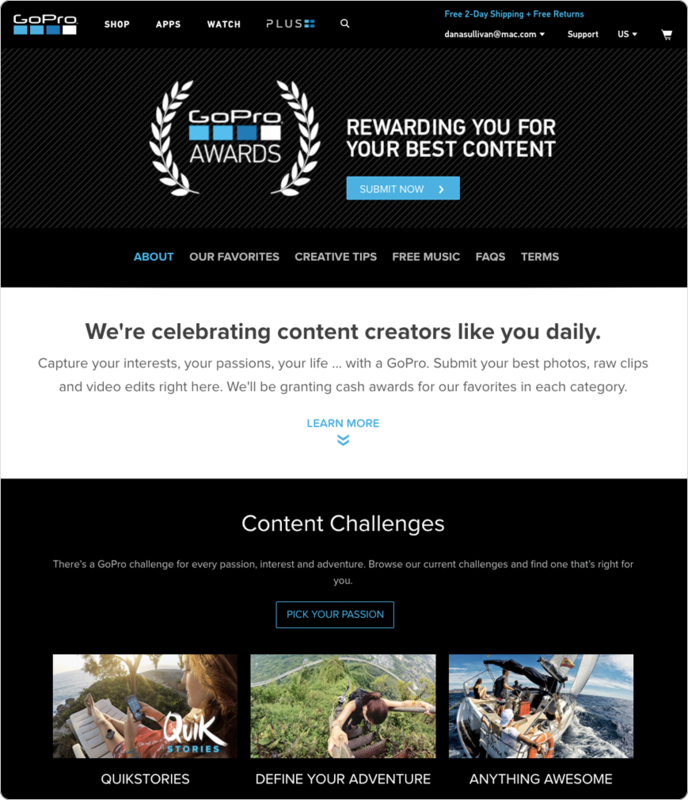 If there's a poster child for UGC marketing, it’s GoPro. The camera company has UGC campaigns running pretty much non-stop, and the strategy has worked wonders for them. Fashion and beauty brands, in particular, are very savvy about recruiting users to serve as brand advocates. 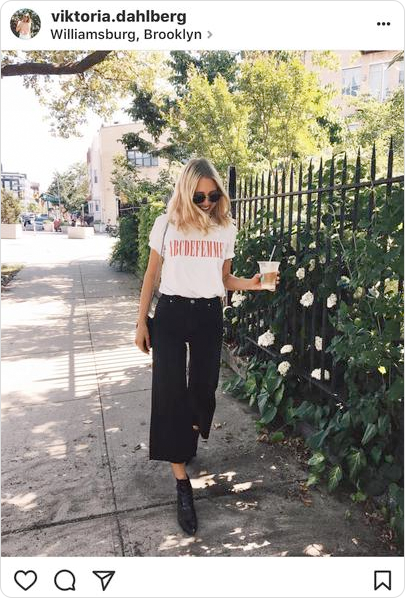 Take Urban Outfitters, for example - Urban Outfitters’ customers show off their style on their own feeds using hashtags like #UOHome and #UOBeauty. 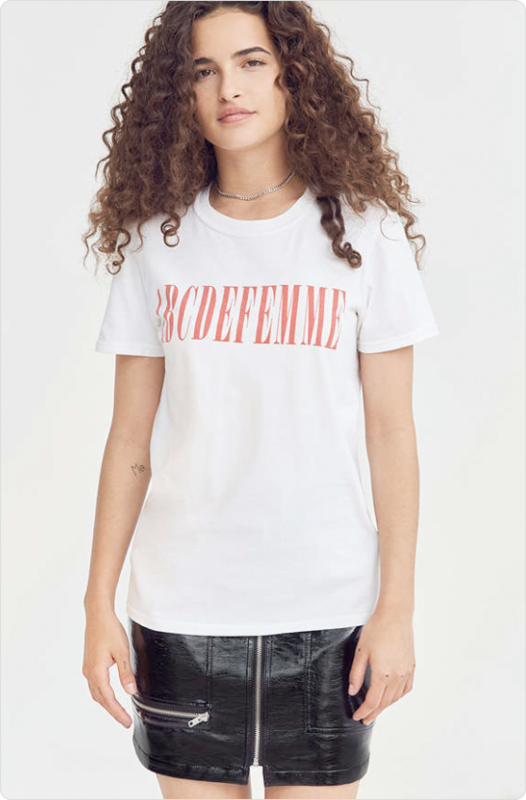 Then Urban Outfitters curates the posts and pulls the ones they like onto a shoppable web page where customers can see how people are wearing and using various products. Social media enables brands to connect with their customers instantly, and showcasing users’ content on your website and social channels is a way to let your users tell their stories about their experiences with your brand. There are tools that will even allow you to set up a feed that shows off all the content you’ve collected (which you should moderate, of course), similar to what Urban Outfitters has done, only without the hassle of web development. In conclusion, user-generated content influences buyers of all ages - in fact, 84% of Millennials report that UGC on company websites has some influence on what they buy, and where. And that UGC doesn’t even have to be from people they know. What’s more, some 43% of people are more likely to purchase a new product when they learn about it via friends and family or on social channels. Worth considering in your strategy.